Shaving with a fresh razor blade feels amazing which is why Dollar Shave Club delivers you new razors monthly. Get your razor handle and first month of Executive razors (6 stainless steel blades) free with your purchase of Dr. Carver’s Easy Shave Butter for just $8. 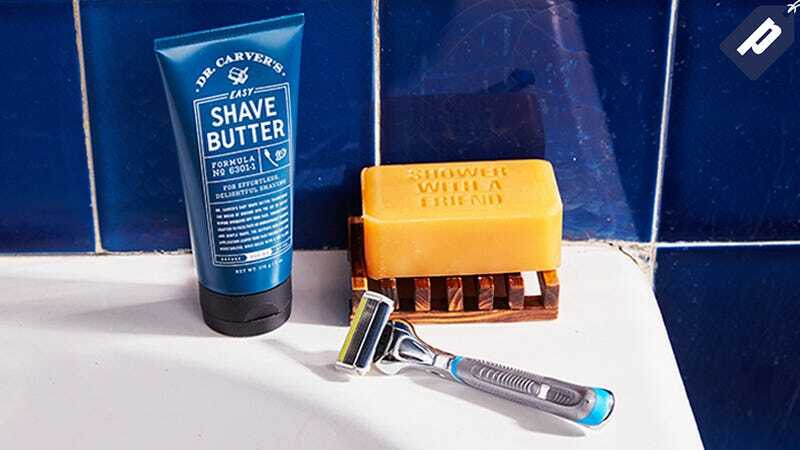 Grab Dr. Carver’s Easy Shave Butter for just $8 and you’ll get your razor handle and first month of Dollar Shave Club’s Executive razors free (They also offer the Humble Twin, two blades and the 4x, 4 blades), ensuring you get a smooth shave every time.